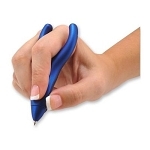 Contoured, molded ergonomic writing aid. 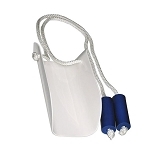 Contoured, molded gripping aid for variety of writing instruments. 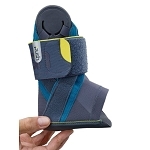 Helpful for reducing hand pain and cramping associated with a tight grip. Provides increased control for writing. The Ring Pen Ultra Writing Grip is a new contoured molded writing aid for holding a pen, pencil or paint brush without gripping. 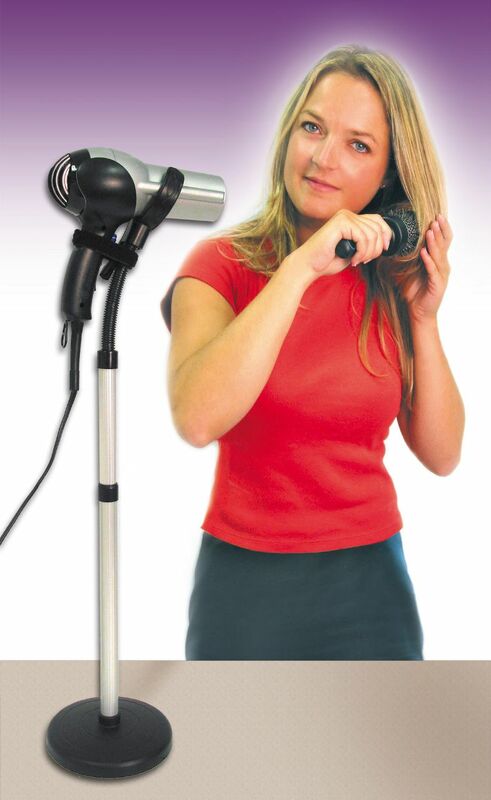 This ergonomic grip provides the user better control, a more comfortable writing position, and does not require a tight grip. 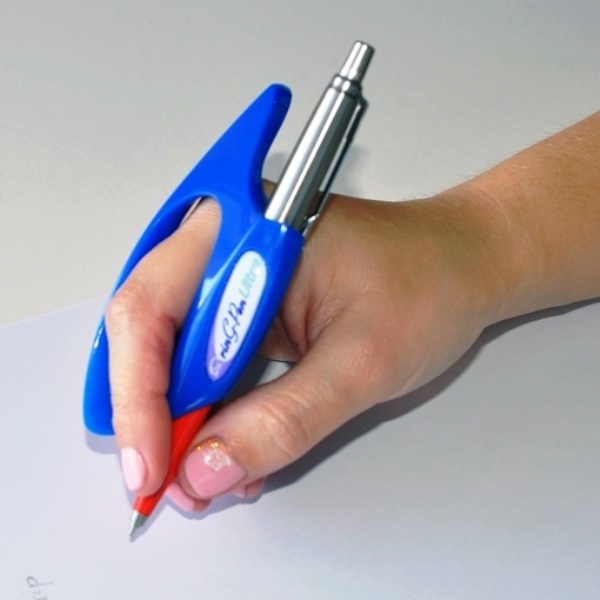 The Ring Pen Ultra firmly grips a pen, pencil, or other small handle writing utensils. 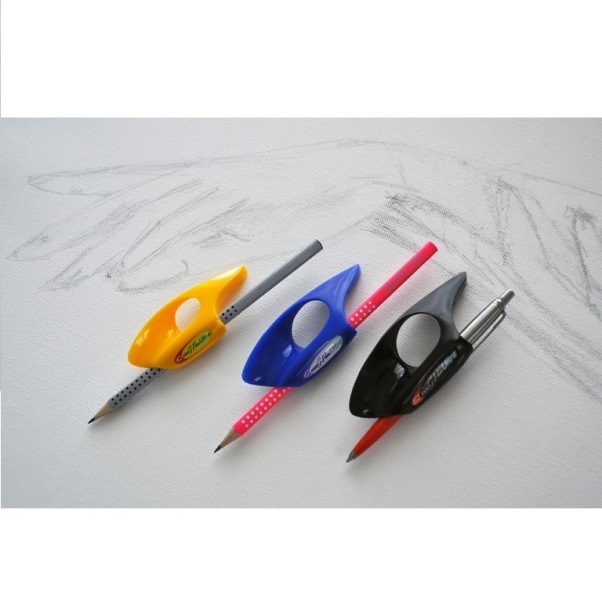 The opening in the center allows the user's index finger to easily slide through and positions the hand comfortably for writing. 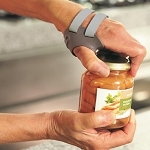 Designed to help users with Arthritis, Carpal Tunnel Syndrome, Repetitive Stress Syndrome or for people who lack fine motor skills in their fingers or wrist. 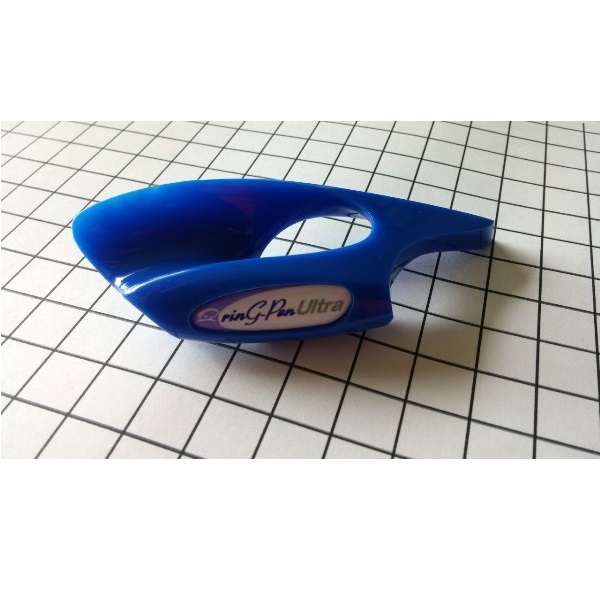 People who write a lot will find the Ring Pen Ultra reduces hand pain and cramping associated with the need to tightly grip a conventional pen or pencil. People who have difficulty writing due to arthritis will find the balanced design provides much better control, allowing them to easily position the tip of the pen on the paper. 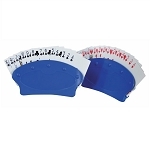 The Ring Pen Ultra is available in 3 sizes, and the color indicating the size. 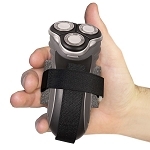 Large Black size will work for most men's hands and larger women's hands. 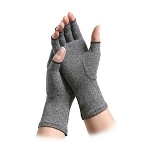 Medium Blue size will work for most women's hands and for smaller men's hands. Small Yellow size is best suited for children. The Ring Pen Ultra is only available for right hand users at this time. Choose size: Large Black, Medium Blue, Small Yellow. Medium measures: 4 inches long, 1.5 inch wide. Holds: Most conventional writing implements and some artist paint brushes. This has helped me especially in filling out forms of which my hand will cramp up so tightly to the pen that it becomes impossible to write with. This tool has helped tremendously. This makes my fingers comfortable while I do my crossword puzzles! I like this pen, however.... I liked the one before this one more! A: Large Black size will work for most men's hands and larger women's hands. Medium Blue size will work for most women's hands and for smaller men's hands. Small Yellow size is best suited for children. Q: Does this accomodate Roller Gel pens? Can it also be used for penciuls? A: As long as it fits in the groove you should be able to use any writing utensil. 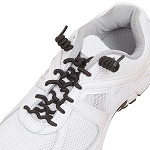 Q: Would this also help to stabilize a tremor? 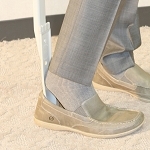 A: Unfortunately no, the Ring Pen Ultra is not intended to stabilize tremors. Q: for right hand only? A: Correct, at this time it is only for right handed writers. Q: i am SO excited that this was created, however, so sad I am left handed. I have severe nerve pain from an injury and can only hold a writing instrument for 1-2 minutes tops. Please consider making a southpaw version? Thank you. Q: Will this work with a shortened arthritic finger? A: You might have to adjust your grip slightly, but yes it could still work.